Plus a special show with Godflesh! After releasing their fourth full-length, The Grand Annihilation, last year, Tombs has been touring the world in support of it, joining the likes of Crowbar, Goatwhore, Kreator, and more on various runs across the USA, plus appearing at last month’s Hellfest in France and 2017′s edition of Ozzfest. 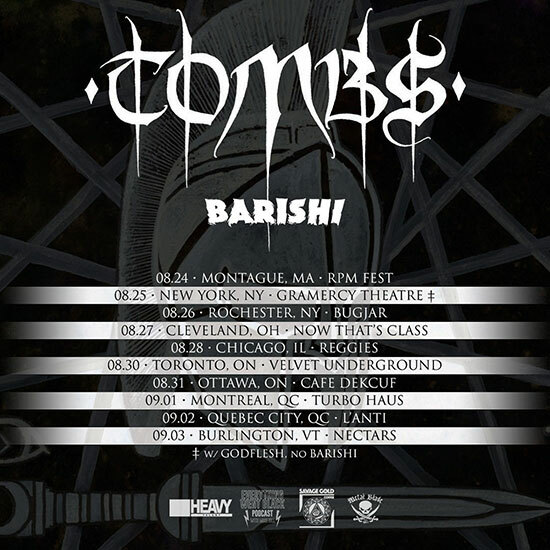 Now, the band is heading back on the road – this time, with Barishi, plus a special show with Godflesh. See below for all upcoming dates!